A total of 4,200 National Servicemen and their families watched in the culmination of nine years of planning, fund raising and construction. Mrs. Betty Kingston, 83, of Brisbane, whose son Ian died in Vietnam and Miss Isabella Doherty, 17, of Victoria, who lost her grandfather, John Doherty also in Vietnam, laid a wreath of 212 poppies – one for each life of those who did not return. The Governor General described National Servicemen as those who recognised their obligations in their service to Australia. 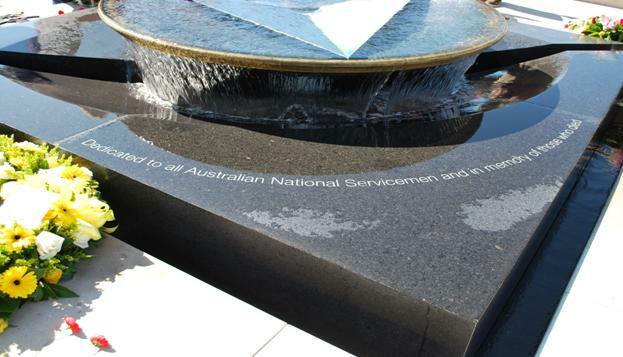 She unveiled a plaque on the sandstone seating surrounding the fountain detailing the history of the two National Service schemes in which 287,000 young Australians served between 1951 and 1972. 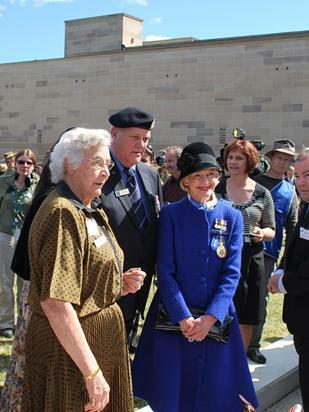 They included her husband, His Excellency Michael Bryce AM AE, who served in the Royal Australian Air Force. 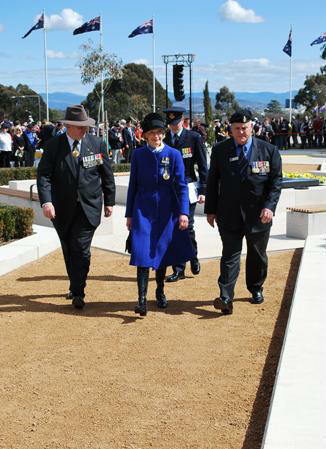 In the photo (at left) Her Excellency is accompanied by the Chairman of the National Council of the Australian War Memorial, General Peter Cosgrove and the NSAA’s National President Major Earle Jennings. The night before, at the reception tendered by the Australian Government at Parliament House, National Servicemen and their partners were involved in dramatic national events as the newly appointed minority Prime Minister, the Hon. Julia Gillard and the Opposition Leader, the Hon. 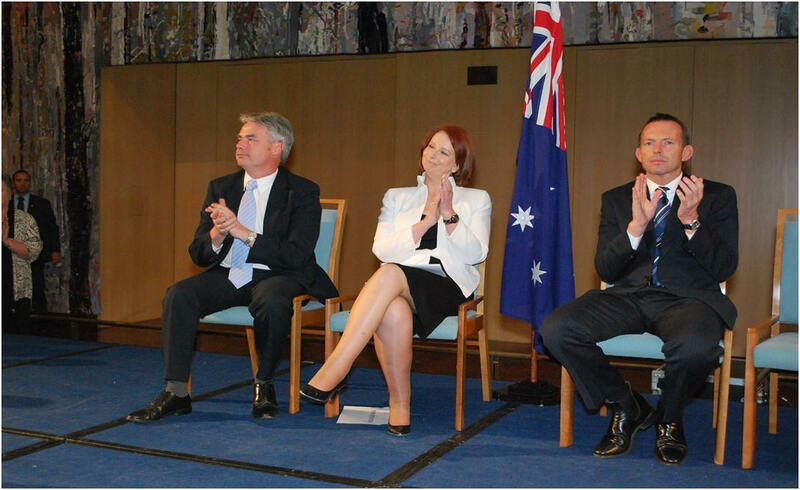 Tony Abbott attended their very first official function. 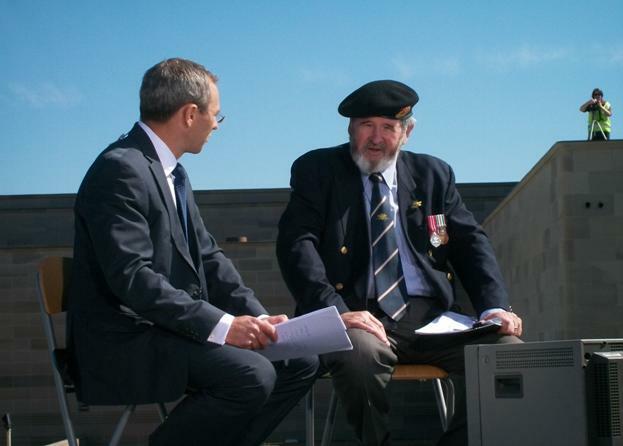 The host was the Minister for Veterans Affairs, the Hon. Alan Griffin, who lost the portfolio the next day. 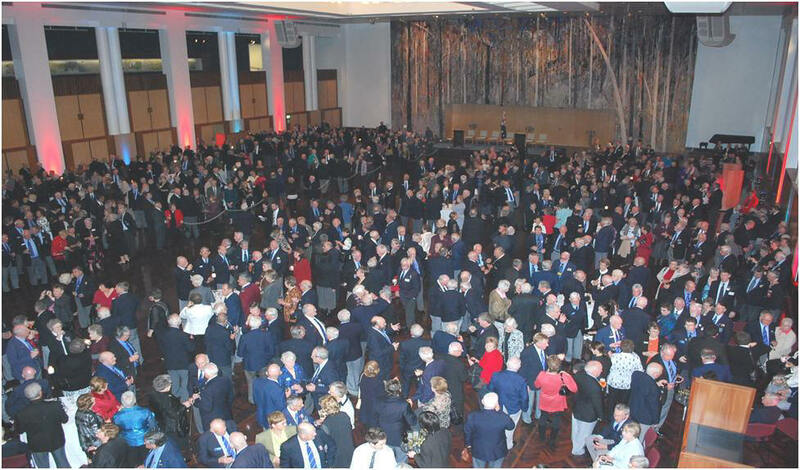 The Great Hall of Parliament House held 1,000 guests – members of the National and State Councils, Sub-Branch representatives chosen by ballot, members of the families of the 212 who died on active service and official guests. Pipers from the National Servicemen’s Memorial Pipes and Drums provided the music. 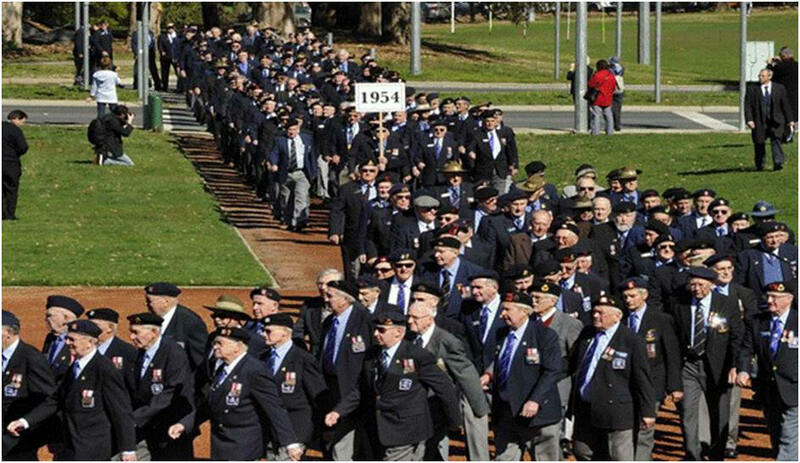 On Wednesday, 8 September, in a sea of blue blazers and berets, an estimated 2,500 National Servicemen formed the largest parade of its kind in their history in Anzac Parade. They marched in the year of their call-up – from the pioneers of 1951 to the last Vietnam call-up in 1972. With their families, they travelled from all over Australia to watch the solemn ceremony around the Memorial. 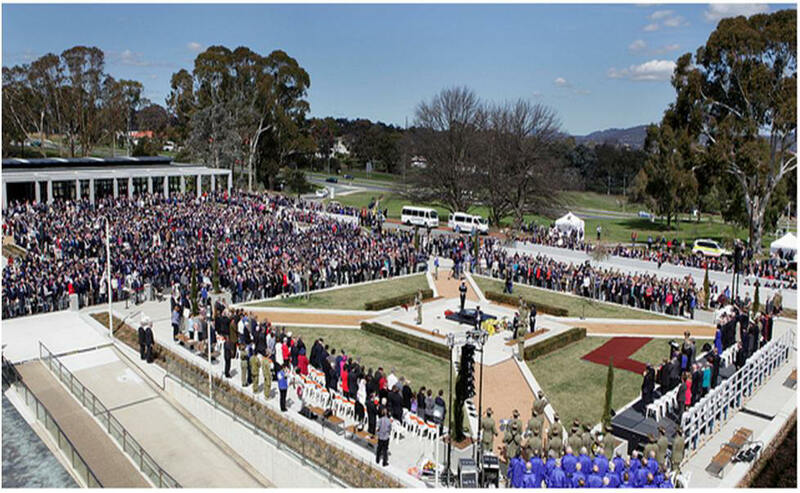 The sandstone, granite and bronze fountain, set in its own precinct of red gravel paths, sandstone surrounds and benches flanked by specially planted snow gums, and pencil pines stands against the imposing backdrop of the iconic Australian War Memorial. Archbishop the Rt. 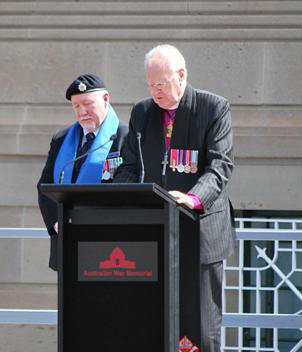 Rev Dr. Peter Hollingworth, an RAAF National Serviceman and former Governor-General of Australia and Senior Pastor Wayne Lyons, a Vietnam veteran blessed the Memorial. The Hon. 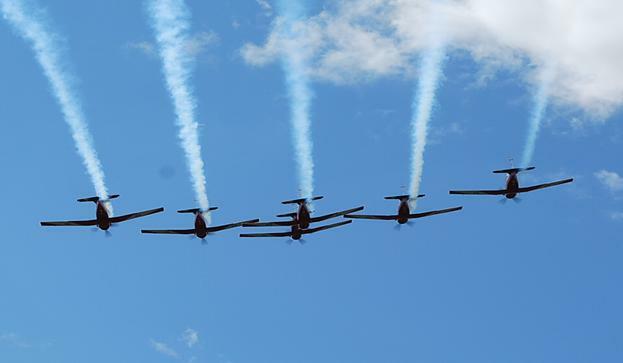 Jeff Kennett, a National Service officer and former Premier of Victoria, gave the Farewell on behalf of all National Servicemen as the RAAF Roulettes flashed overhead in salute. 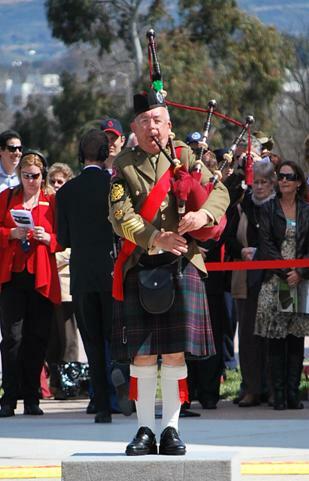 The National Media Officer, Allen Callaghan, who compered the parade also was the co-compere with Chris Reason (pictured below) for Channel 7’s live 75-minute national telecast of the Dedication. The ABC and Sky television also took the coverage. Channel 7’s owner, Mr. Kerry Stokes, donated $150,000 to the Memorial fund. The National Servicemen’s Memorial Pipes and Drums played for the parade and then provided the lone piper, Pipe Major Ian Millard to play the lament during the wreath laying. 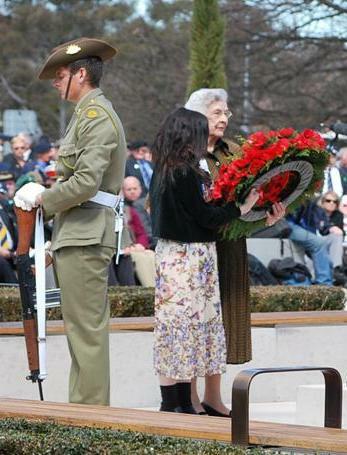 The most poignant moment came when Mrs. Betty Kingston, 83, of Brisbane, who lost her son Ian in Vietnam and Miss Isabella Doherty, 17, of Victoria, whose grandfather, Private John Doherty, also died in Vietnam, laid the final wreath of 212 red silk poppies – one for each of the National Servicemen who did not return from Borneo and Vietnam. The inscription on the Memorial reads: ‘"Dedicated to all Australian National Servicemen and in memory of those who died”. The nation has recognised our service and honoured those who died and the families who paid the highest price of all with their loss. The National Service Memorial was built by National Servicemen for National Servicemen. Along the way we had help from many organisations and people and I want to pay tribute to all who were involved in the planning, construction and dedication of the Memorial by the Governor-General on Wednesday, 8 September 2010. Your National Executive and Council have put nine years of work into achieving this recognition of your service to Australia. A central part of that was paying tribute to the 212 National Servicemen who did not return from Borneo and Vietnam and to give closure to their families. 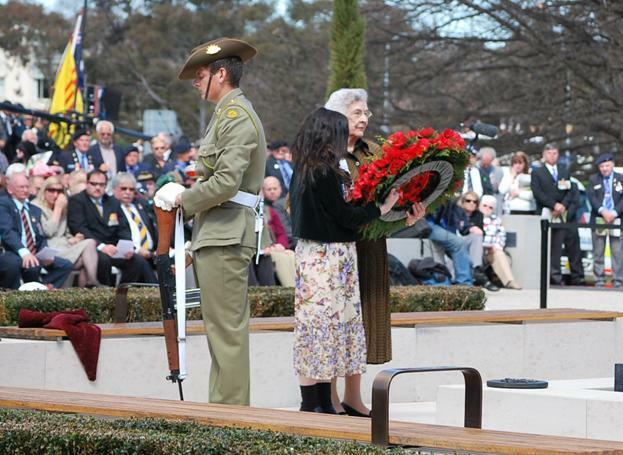 Mrs. Betty Kingston (at left) and Miss Isabella Doherty laid the last wreath of 212 poppies on their behalf. 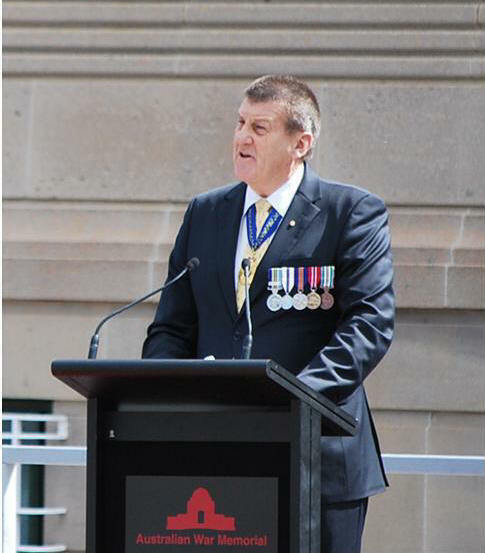 We owe a great debt of gratitude to the Australian War Memorial and its staff in the design and construction of the Memorial and the Dedication service and to the Minister and Department of Veterans Affairs who also assisted us financially and in planning and staffing the Reception at Parliament House. We also can thank Kerry Stokes and Channel 7 for his assistance to the fund raising and for the national live telecast of the service. To all who worked for and assisted with the Dedication, our thanks.